So … you’ve just completed a Beekeeping for beginners course with a local association over the winter. You’ve built your flat-packed hive, you’ve bludgeoned the ends of your fingers building frames and you’ve bought a quality beesuit from one of the suppliers at the Spring Convention. Not necessarily in that order. You’re now ready to start keeping bees. In reality … probably not. Beekeeping is essentially a practical occupation. The theory is important, but nothing like as important as the observation, the interpretation and the implementation of the practical aspects of the pastime. These practical aspects cannot be learned on a cold winter evening watching two dozen Powerpoint slides with a break for a cuppa and a chocolate digestive. They also can’t be acquired from a book (or a website … but don’t go yet). 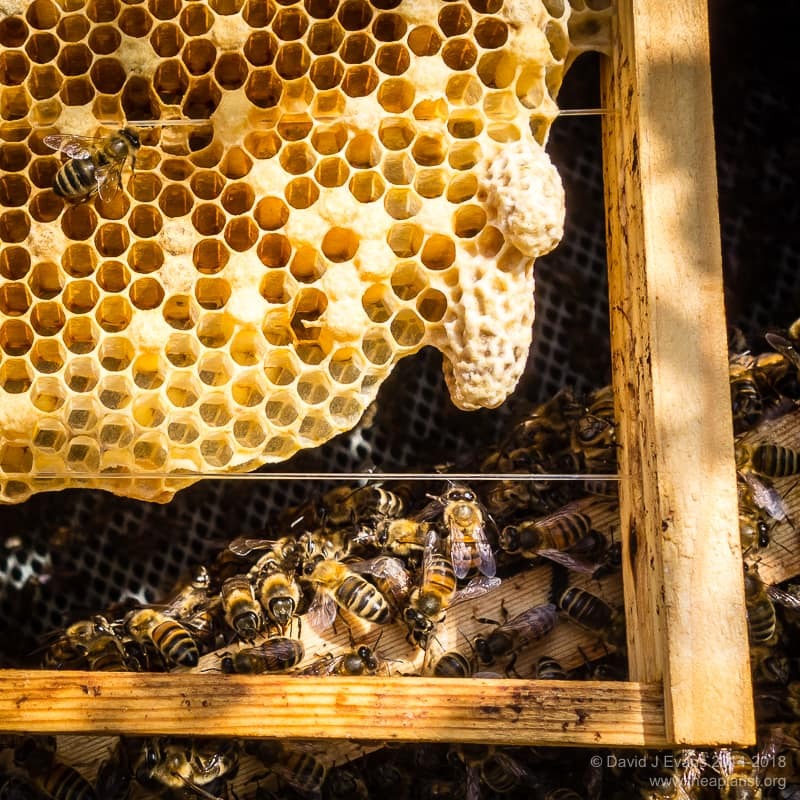 Instead, they’re acquired by accumulated hours spent bent over a hive – or better – hives, coupled with good record keeping and observation of what happens next. You can achieve this alone, but it can be a dispiriting process as “learning from your mistakes” can involve the loss of the honey crop for that year, or even the loss of the colony. Most beekeepers involved in training know this, and local associations generally appreciate that their winter courses only really lay the groundwork for the practical skills to be acquired during the following season(s). 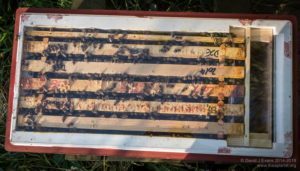 To help achieve this many offer sessions in the association apiary, where experienced beekeepers inspect colonies with small groups of beginners. More important still is the mentoring many offer – the appointment of a more experienced beekeeper to a beginner so that the latter has, at a minimum, a contact for help and support as the season progresses. ‘Mentoring’ covers a range of levels of interaction, but it’s rarely defined what’s expected of mentors, either by the association or the beginner. I’m sure there are examples of good and bad practice out there. I think it could be argued that better mentoring might significantly increase the success rates of new beekeepers … where ‘success rate’ is measured as the proportion of people who take a beginners course that are still keeping bees three years later, or the proportion of colonies managed by beginners that are overwintered successfully. I’d even suggest that better mentoring is more important than the winter theory course, but these are an important source of income for beekeeping associations and do provide the necessary background information. Beginners desperate to start beekeeping might buy an imported nuc in early Spring, watch in awe – and perhaps apprehensively – as it develops at breakneck speed during May, lose half the bees as it swarms in June, struggle to get it requeened in an unseasonably wet and cold July, spend August trying to prevent it being robbed out and then lose it in the winter due to poorly timed Varroa treatment or insufficient feeding. Twelve months on they’re back to square one, on the waiting list for another nuc and trying to work out why everything went wrong the first time round. There are better ways to start. Of course, you might be lucky, the weather might be kind, the bees unswarmy and the honey crop weighty. The sort of ‘perfect storm’ of a season described in the paragraph above is unusual, but certainly not unheard of. Large numbers of beginners start beekeeping each year, a proportion decide it’s not for them and never acquire bees, others start and relatively quickly – perhaps within 1 to 3 years – give up, and a few become lifelong beekeepers. Of the middle group, some stop because they decide it’s not a hobby they want to pursue (which is fine, it’s certainly not for everyone). However, others abandon it because they struggle to acquire the practical skills and experience that make beekeeping both relatively easy and very enjoyable. After the first or second or third bad season, after struggling with swarms, unmated and invisible queens, Varroa and disease, bad tempered bees and other problems, they abandon any hope of being a successful beekeeper … and abandon their bees. 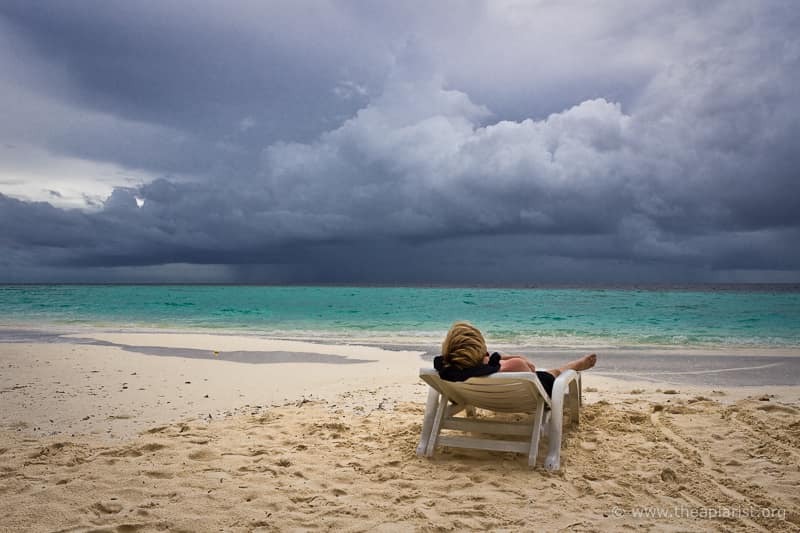 It’s this last group – those that abandon something they wanted to do and have trained for because of the problems that they encounter – that this post is really about. Are there ways more people that want to become beekeepers can become successful beekeepers? Are there ways to get beginners faster from the winter theory classes to a good enough level of competence? Are there ways to reduce the high levels of losses that many new beekeepers experience in their first year or two? Might better mentoring improve the success of beginners in their first year(s)? Although many beekeeping associations offer ‘mentoring’ for new beekeepers, the ‘mentoring’ is often poorly defined. What does your association offer? It might be anything from season-long one-to-one support and advice, in person, to a mobile phone number and instructions to “call here if you need help”. Frankly, the latter is probably not a whole lot of use. Firstly, it’s often difficult to describe what’s happening in the hive particularly when you’ve not seen it before and when you’ve relatively little experience of what should be happening in the hive. Secondly, you can be sure that when help is needed the mentor will be at the end of a dodgy mobile phone signal in their out apiary. Typically this is the late May inspection when the new beekeeper has carefully destroyed all those pesky queen cells only to realise, far too late, that there’s no queen in the colony (they’ve swarmed) … and now no larvae young enough to raise as new queens. 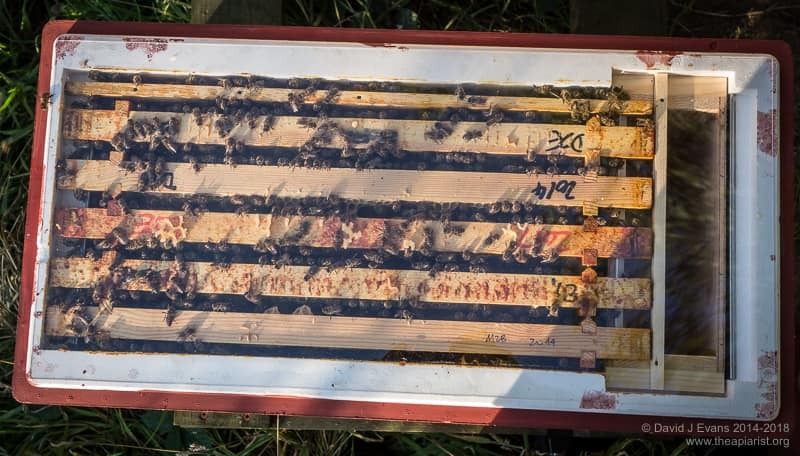 I think there are ways to combine improved practical training, the desire of new beekeepers to start inspecting bees early in the season and to reduce the demand for imported nucleus colonies (something I’ve already touched on in Supply and demand). Imagine a scenario in which the beginner acquires a mentor before the practical beekeeping season starts and the mentor provides some practical advice on the equipment required. Since the plan I’m outlining involves the beginner acquiring his/her nucleus colony from the mentor mid-season (once their practical skills are improved), equipment compatibility will be important. Once inspections start the beginner visits the mentors’ apiary and attends the standard weekly inspections. Initially this might be just as an observer. Colonies are small, just starting the spring build up. As the mentor has a reasonable amount of experience it’s likely there’s more than one colony in the apiary. Therefore the beginner gets to see the importance of being able to compare colony development, and gains through the simple repetition of the practicalities of inspections. In later visits the beginner should – under supervision – go through a colony. 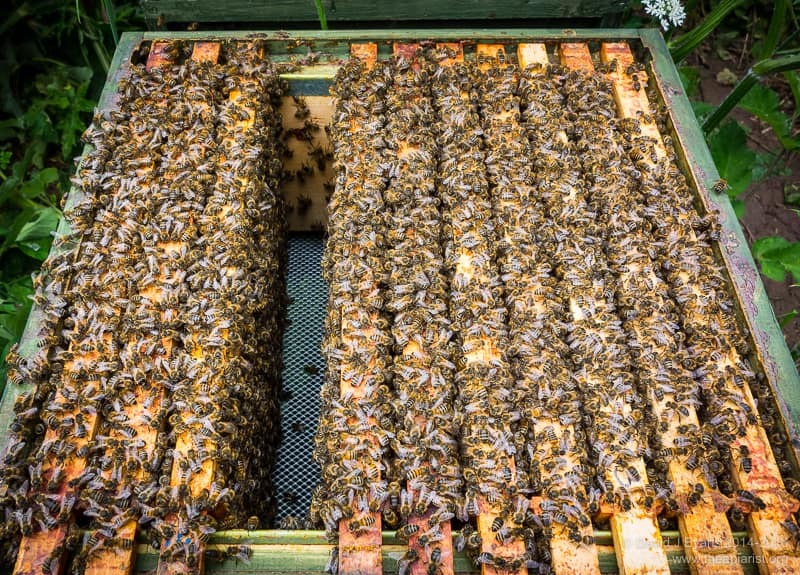 Together – though largely taking a lead from the mentor – they select a suitable colony that is building up fast and that will require ‘cooling off’ (by splitting off a nuc) to delay swarming. Alternatively, some sort of vertical split or artificial swarm is conducted, with the part of the colony that generates a new queen being destined as the beginners first colony. By whatever route – even making up a new nuc from one or more colonies and adding in a queen cell – the beginner acquires their first colony. By this time the danger of swarming has largely passed, the beginner has acquired a significant amount of practical ‘bee handling’ experience. The mentor has provided – and, if necessary, been paid for (I’ll return to this point in a later post as this is quite long enough already) – the nucleus colony. A decision will have to be made as to whether to move the nuc to the beginners own apiary. It might be best to delay this until it’s clear that the nuc is building up well, perhaps waiting until it is moved into a full hive. At the same time, the beginner will have observed his/her mentor dealing with many of the other types of ‘events’ that occur every season … queenlessness, aggressive colonies, adding supers, uniting, swarm control, swarm collection, bait hives and possibly even queen rearing or other more advanced activities. The final activities of the season are the critical stages in winter preparation – Varroa treatment and feeding – at the very least the beginner and the mentor will have had ample opportunity to discuss this in detail. Certainly the usual seasonal IPM activities and monitoring of mite levels will be familiar to the beginner. Ideally the mentor will be involved with preparations for the winter at a practical level as these are important in successfully getting the colony through to the following Spring. I’m going to deal with this subject in more detail at a later date. Suffice to say that there is a shortfall in homegrown nuc production for sale to the large numbers of beginner beekeepers each year. In Scotland we know that this shortfall is about 20% (it was surveyed in winter 2015). 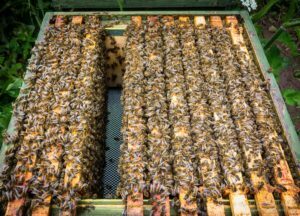 Going by the number of nucs imported for resale (some even as ‘local bees’ – it’s time some of those involved in this were ‘named and shamed’), or queens imported to drop into made up nucs for early season sales, the shortfall in the UK is probably several thousand colonies. One way in which this might be addressed is to encourage beginners to acquire their nucs from their mentor in mid-season, rather than buying something in mid-April. This post is already too long so I’ll return to this in the future … but the bottom line will be overwinter more nucs and encourage beginners to acquire bees in mid-season, not in April. Here in the east of Scotland the season is just properly starting … my spare time will soon be taken up with practical beekeeping rather than writing about it, so posts might get less regular, less frequent, less illustrated or less long. They probably couldn’t use less good written English. However, next week’s is already written and will automagically appear at the end of the month. This entry was posted in Beekeeping, Training and tagged local association, mentoring, training on April 22, 2016 by David. I couldn’t agree more with your post. I obtained my first colony from my mentor, he invited me to go through his four hives throughout the beekeeping season, watch him grafting to generate 30+ nucs and the subsequent managing of the nucs. I learnt so much, I even got stung a couple of times moving colonies at night. The “involved” mentoring process gives hands on learning, confidence handling bees, practical help and is so much fun as well. Mentoring takes, I think, a high level of responsibility both on the part of the mentor, to offer up the time and opportunities to the beginner and also for the beginner to take up invitations to get their hands into a few hives. Both parties need to be proactive. In my short time as a beekeeper I’ve seen a few failings on both sides. Shame but human nature I suppose. Mentors supplying nucs is an excellent way I think to reduce the importation of bees from abroad. Associations can and should do more to supply their newly recruited members with bees that are bred locally. Sounds like you received a very thorough introduction to beekeeping. I’m delighted to hear what was clearly ‘good practice’ was also enjoyable and successful. I’m going to expand on the last point you make – about associations encouraging the supply of local bees – sometime in the future (perhaps when we should all be making up nucs for overwintering next winter?). Should associations be training significantly more beginners on winter courses than they can provide nucs and high quality mentoring for? Thinking about your point about your question (Should associations be training significantly more beginners on winter courses than they can provide nucs and high quality mentoring for?) I had a look at my local association membership, there are 126 members listed. My over winter beginners course was attended by 18, the previous year I think was attended by 30, playing with numbers, if every member produced one surplus nuc, there would be no market for non-local bees for hobbyists.. More realistically, if say only 20%, the active members, produced just 2 surplus nucs, 50 would be available to beginners, plenty to supply the demand from newbees. I’m sure that colonies lost by established beekeepers are, in the main made up from those in the local association, people just helping out their friends. Apart from a colony from the chap that offered to be my mentor, I was offered only one other, presumably the e-mail was sent to a number of others at the same time. Keen new beekeepers are biting at the bit, wanting to get their own bees as soon as possible, a good mentoring system, as you describe, with a “guaranteed” nuc to come, or an over wintered nuc early in the season would maybe temper their desire to buy from further afield. With regard to mentors, again it’s a numbers game, there are no guidelines within my association, as to what would be required or desirable. I was just lucky. What you describe sounds perfect for some. However if someone had said I couldn’t keep bees until I’d waited a year and proven my dedication by turning up at the apiary every week for a summer I’d have just gone out and bought my own anyway. I expect a lot of people would do the same. Since no one even offered me even mobile number to call that’s basically what had to do. Of course I’ve lurched from one disaster to another, treated at the wrong time, worried over varroa, sac brood, an elusive queen, how much to feed, how hefty the hive should be, and I’m still totally inept. But a year on I still have bees, I collected 40lbs of the best honey ever and I’ve learnt an enormous amount. When the second nuc is ready (from a reputable local source) I’ll have backup when things go wrong – as they surely will. 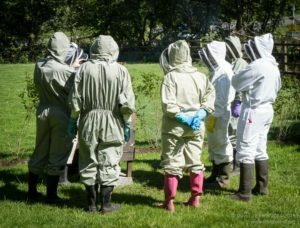 To be fair my association does hold weekly gatherings at the teaching apiary and if you attend every week I’m sure you’ll learn a lot. Plus a few beginners get to look after a hive there (but don’t get to keep any honey!). However many of us can’t spare 2 or 3 hours mid morning every Sunday on the off chance we might see something we need to know about. (We already spend 45+ hours a week away from the family, it clashes with Johnny’s swimming lesson, and we’re continually hearing “you already went on that course – what more do you need to know?”). There needs to be an option that doesn’t require lots of time and lets us impatient ones get started with our own bees without waiting another year – even if we do get off to a very shaky start. A number to call, ongoing scheduled lectures, demonstrations, or just a note round during the week to say that someone is planning a shook swarm or something would all help immensely. A great many people do exactly that … just go out and buy bees from wherever they can. Then, as you describe, they may lurch from one disaster to another. For the bees to survive the first season the beginner has to learn fast. Some do, many don’t. Those that don’t, lose swarms that bother other people, they get colonies robbed out in late summer so potentially spreading mites and diseases and they call for help for problems that could have easily be avoided with a little forward-planning. I was suggesting a mentoring process that provided more access to bees, more experience and greater opportunities to learn … all with the intention of improving both the quality and enjoyment of the beekeeping. What I’ve suggested doesn’t take 2-3 hours a week … it doesn’t even have to be every week. What we currently have is a training process that launches large numbers of beginners with no practical skills and only some theory to procure bees at almost the worst time of the season. Is this good practice? Is it actually contributing – other than in numbers – to improving the quality of beekeeping in the UK? There is always the option for impatient beginners to just buy some bees and ‘have a go’ … however, beekeeping is not a pastime where impatience is rewarded. Yes I agree, more opportunities to learn can only be better and would really help me. What you’ve described does sound ideal while letting many more people take beginner courses than there are bees available locally seems rather counter-productive. Just that regularly attending another apiary might not be practical for some. If that becomes the only option then those people will continue spreading disease and swarms all about. I appreciate the problems about attending other apiaries particularly in remote areas, or in areas where there isn’t a high density of beekeepers. This isn’t the situation in many parts of the country. I do however think there needs to be an appreciation that keeping bees isn’t necessarily simple and that associations and those involved in training should aim to prepare – both in terms of theory and practice – new beekeepers for the difficult bits. This Spring is a good example … late and cold in many parts. How many colonies are being lost this April due to starvation and how many new nucs are being held back by meddling with them? Someone involved with the sort of mentoring scheme I outline would be getting a valuable introduction to beekeeping in the sort of variable weather we have. I certainly don’t see a scenario where the mentoring I suggest is “… the only option …”.